When you have good credit, life is much simpler. You can easily buy a car, a home, your interest rates are lower and taking out a loan is often as simple as walking into the bank and asking for one. But life happens. Job loss. Medical emergencies. Divorce. Student Loans. Poor financial decisions. Any of these can drop your credit score. With less-than-great credit, you will find yourself struggling to get approved for a mortgage, refinance, new car, and better interest rates (which can save you tons of money long-term). There is a way to quickly and permanently improve your credit, however, with the best services in credit repair Los Angeles has to offer. You want a company that does more than just send dispute letters to creditors. You need company that will work, day in and day out, with the assistance of an expert staff comprised of an investigative research team and an in-house law firm, to improve your credit score. How do you know if you can benefit from our services? How do you know if your credit can even be improved? You may be asking yourself these questions. If you have ever been denied a loan or a purchase because of a low credit score, now is the time to act, and we are the company to help you. Unlike other companies, we don’t just say “Yes, we can help you” without looking at your credit. We don’t take the same action plan for every client. We take real steps to improve your credit, no matter how bad you think your credit is. Take a look at what are past clients are saying. Though the average credit score is in between 600 and 750, anything below a 700 can hurt your chances of being able to make big purchases like a home or a car. Sure, some lenders and creditors will work with credit scores below 700, 600, and even 500, their rates will be much higher than for someone who has what is considered to be a good credit score. Even though people trust sources like Credit Karma for an accurate credit score, it’s actually not so simple. Free resources are not always reliable (you get what you pay for). At WJA, we like to pull a FICO trimerge report to see exactly what credit items are reporting on each of the bureaus (Equifax, TransUnion, and Experian). The reason we do this is because we develop a specific game-plan based on each credit bureau before we begin our 4-round process. As we mentioned before – life happens. Specifically though, negative items we frequently see on credit reports include general collections, medical collections, late payments, charge-offs, repossessions, late student loan payments, bankruptcy, foreclosures, inquiries, and incorrect profile information. There are other ways that your score can be damaged, some of which may not even be your fault. Did you know that closing a credit card—even one you do not use and has no balance on it—can hurt your score? This is because that card is removed from your credit history, and shortens it. In addition, having a high debt to credit ratio, can be damaging. But the most damaging thing that can happen to your credit score is a negative item showing on your credit report. That’s what we specialize in. We use consumer laws that protect YOU to not only dispute, but aggressively AUDIT each item. Improving credit on your own can take years. Paying your bills on time does not remove negative items on your report. Paying a collection doesn’t remove a collection from your report. There are so many misconceptions. You need a credit expert to guide you in the credit restoration process. Our aggressive alternative to credit repair is driven by 3 elements: 1) Your personal credit analyst, 2) an investigative research team that crafts responses through each of our 4 rounds, 3) an in-house attorney that engages in our audits in Round 3 and 4. Customization gets results. We engineered our process for urgency & giving clients their buying power back. That’s our mission. We don’t just send dispute letters like other Los Angeles credit repair companies that will simply take your money and do nothing proactive to actually improve your rating aside from sending out a few dispute letters (which are typically generic and automated). 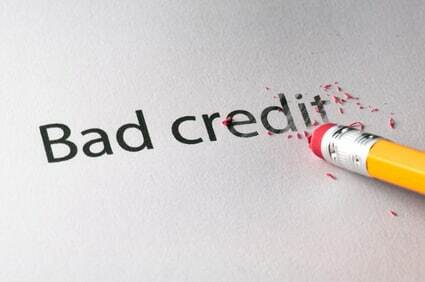 You already know how difficult it is living with bad credit, whether those things are a result of your own actions or a result of actions or mistakes that others have made. It’s time to take action. What else makes WJA different from other Los Angeles Credit Repair Company? Let’s start with time-frame. Our system lasts a maximum of 6 months. Some clients are done in 3 or 4 months, but there are situations that take the full 6 months. Signing up with a “monthly” credit repair service can take years – with poor to mediocre results. We improve credit scores both permanently and quickly. If you want to buy a house or car, you need real results fast; not in a year or two. Imagine having a company that works quickly to delete the negative/inaccurate items from your credit report AND coaches you to build positive credit for the future. Our process isn’t generic like 98% of the companies out there that claim to fix credit. This tired process of sending dispute letters to the credit bureaus is ineffective. In fact, the credit bureaus will add “in dispute” remarks on your credit report preventing you from making major purchases like buying a home. When it comes to credit repair for Los Angeles, there is no company better than ours. If you are struggling with a poor credit score, let us help you improve it. Call today to schedule your evaluation and to get started on the path to an excellent credit score.